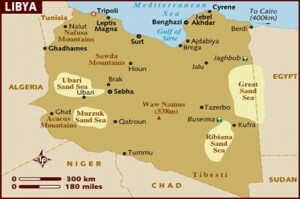 There are currently two governments in Libya. 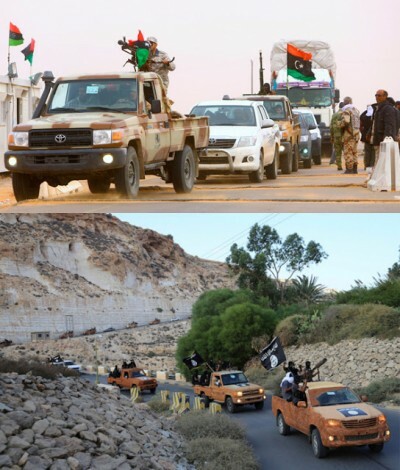 A « moderately Islamist » one in the west in Tripoli and one in the east in Tobruk. The eastern one is internationally recognized and « secular » but also supported by some Salafist groups. The « west » is alarmed about this development and wants to intervene with military force. Special forces from several countries are already on the ground. But both governments and their parliaments do not want such foreign intervention. Naturally the Libyans hate that idea of a foreign imposed government. They will likely fight any third force that tries to usurp their sovereignty. Confronted with a foreign imposed government and foreign military forces more Libyans will join the Islamic State to fight the intruders. The shortsightedness of the UN and the « western » governments on this issue is breathtaking. But there is still a lot of money to be made in Libya and especially the French and British governments want to keep robbing the country blind. This requires some feet on the ground. The « brain » and a likely main profiteer behind all this seems to be one well known figure. I can not think of any positive outcome this hapless robbery attempt under the disguise of fighting the Islamic State will have for Libya and its people. Or for the people of those countries who’s « elites » now again move to wage war on Libya.